An Italian arms multinational with sales worth nearly £7 billion in 2015 has received more than £6 million of taxpayers’ money over the last five years from the Scottish Government, The Ferret can reveal. Leonardo MW Limited – formerly Finmeccanica – is the ninth largest arms company in the world whose products include missiles, drones, military helicopters and warplanes. The arms giant generates revenues of £2.3bn for the UK’s economy and employs 7,100 people across the UK. This includes nearly 2,000 people at a site in Crewe Toll, Edinburgh, designing and producing high-tech products based on airborne radar, advanced lasers and electro-optic systems. But critics of the arms trade in Scotland say public money should not be given to an “obscenely wealthy” industry that has “routinely armed human rights abusers all over the world”. In a reply to a freedom of information request by The Ferret, Scottish Enterprise (SE) released details of its grants to arms companies based in Scotland over the last five years. SE is Scotland’s main economic development agency and a non-departmental public body of the Scottish Government. Its response revealed that Leonardo MW Ltd has been awarded £6,100,000 for “consolidated R & D projects”. But the agency refused to provide further details, advising us to submit a further freedom of information request. Other arms firms to receive SE grants included Rolls Royce PLC, awarded £300,000 for “repair & overhaul of RR proprietary brand aero-engines”. According to CAAT, Rolls Royce is the 17th largest arms firm in the world, making aircraft engines for the military, naval engines and cores for nuclear submarines. Lockheed Martin received £176,615 for “business improvement”, “innovation” “marketing” and “organisational development”. Raytheon Systems Ltd – a US arms firm with a factory in Glenrothes that makes laser guided systems for smart bombs used in Gaza and Yemen – was awarded £47,761 for “strategic development” and “marketing”. Raytheon has been linked to alleged war crimes in Yemen amid accusations of indiscriminate bombings by a coalition led by Saudi-Arabia fighting Iranian-backed Houthi rebels. It recently ran into criticism when it emerged it was running workshops for Fife school children, where pupils were encouraged to make drones. BAE Systems has received £31,346 in SE grants while Plexus was given £768,500 to “support a new manufacturing facility” and “training”. Campaign Against Arms Trade (CAAT) urged the Scottish Government to stop funding firms profiting from war. When it was Finmeccanica, Leonardo sold arms to nations with poor human rights records including Algeria, Libya and Turkey, the group said. CAAT also said Leonardo made a deal worth €300 million in 2009 for border security to stop migrants coming into Libya on route to Italy. “The deal included radars and other surveillance systems, a command, control & communications system and the training of staff ,” CAAT said on its website, quoting defence newsletters. CAAT’s Andrew Smith argued the Scottish Government had “rightly condemned Westminster for arming and supporting human rights abusing regimes”, but was handing public money to companies responsible for the arms sales. Green MSP John Finnie said that public money should not be used to “support the design, manufacture or sale of arms”. However, Scottish Enterprise defended its grants. “We support businesses across Scotland, including those operating in the aerospace, defence & marine industries (ADM) in areas such as innovation support, workplace efficiencies and training,” said a spokesperson. ADS – which supports the UK’s defence sector – told The Ferret that businesses in the UK’s defence and security sectors make a “vital contribution to keeping our country safe”, as well as delivering more than 240,000 jobs and £10bn in exports. Leonardo MW declined to comment but the firm’s website provides information on the company. A spokesperson for Rolls Royce said: “The support we received from SE was for our aerospace supply chain unit in Inchinnan, which makes parts for a wide range of our aircraft engines and services them. “While it is for SE to explain to you why they award their grants to the companies that they do, I would say that our facility in Inchinnan employs over 800 highly skilled people and supports jobs in the surrounding area. Photo thanks to Campaign Against Arms Trade. 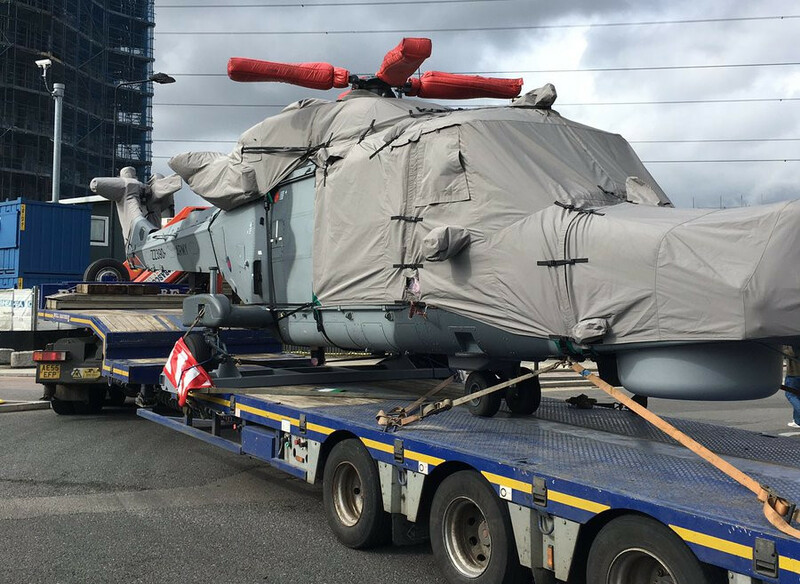 It shows an AW159 Wildcat helicopter, whose recent buyers include South Korea and the Philippines. This story was updated at 15.30 on Oct 17th 2017 in order to add a response from Rolls Royce.